Australia is extremely favorable destination for highly skilled people who always look to begin a new life in another nation. The economy of Australia is strong and the country is actively motivating the immigration of skilled migrants. Skilled migrants who seek to work in Australia would be assessed on system which is points based, where points are given for the applicant’s qualification, work experience and proficiency in language. There are other ways of getting visas for immigration to Australia that includes skilled immigration and family immigration programs. The migration program of Australia places many people each year and it also places many skilled individuals under its various skilled immigration programs. The immigration programs of Australia have prospects for individuals with many backgrounds, qualifications, ages and requirements. Individual needs to choose the path to Australia that best reflects their goals and circumstances. There is sturdy emphasis in the programs for Australia immigration on luring individuals who could contribute to the economy of the country. If anyone below 50 years of age, and speak good English and has good qualification they are entitled under Skilled Migration Program of Australia. 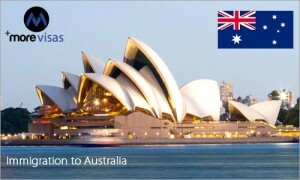 Australian PR could be obtained if any individual is willing to reside in a designated region of Australia. Rules are made for individuals who are looking to invest in Australia or who has got business skills. Enhance your English proficiency and get qualification from world class universities of Australia through its Student visa programs. Working Holiday Visa lets young individuals from many countries to work while on holiday in Australia. Australia also takes migrants with their family members who are already residing in the nation under its family migration program. If anyone is qualified and successful business person and looking to immigrate to Australia can do this under visa categories of business migration. There is a chance for people to get PR to Australia.